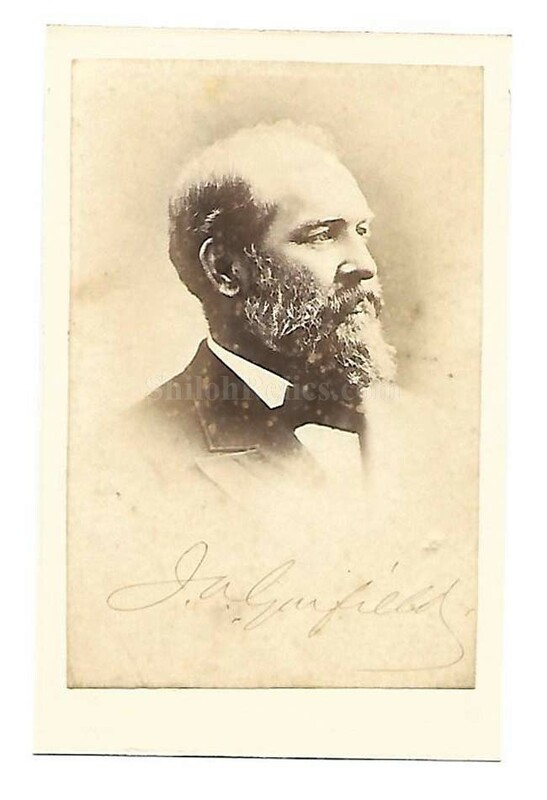 This is an original Civil War era CDV image of Civil War General and future President James Abram Garfield (1831 -1881). This image shows the General as he looked when he was president. He served during the Civil War and was promoted to the rank of General on January 11th 1862. He served nine terms as a U.S. Representative from Ohio. He was inagurated in January of 1881 and was shot on July 2nd 1881 but hung on until he passed on September 19th 1881. He is buried in Cleveland, Ohio. This is a bust view of the President in a stately pose. The CDV images were made by applying a thin paper photo image of the famous person of the day to a heavier paper card. This made the image more durable and easier to display and also added uniformity to the size. The overall size of this CDV image is approximately 2-1/2 inches by 3-1/8th inches in size. 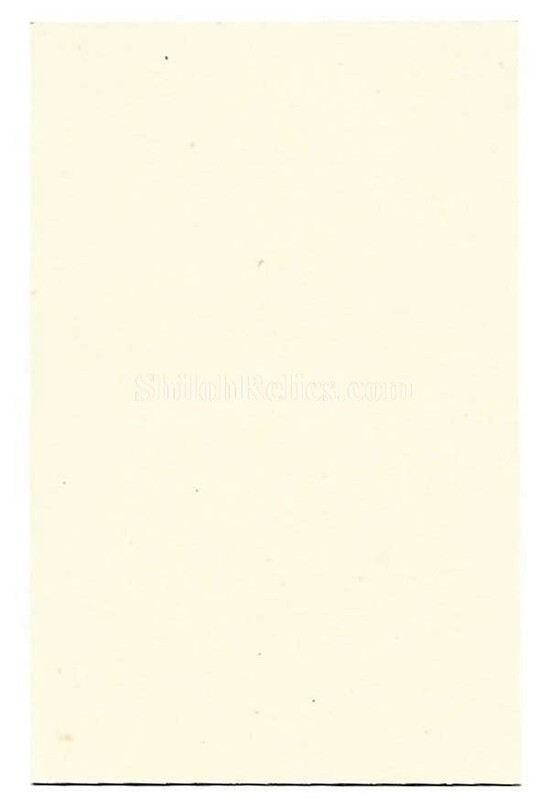 The back of the card is unmarked so it could be sold by any retailer without advertising for the actual photographer. This is a solid original Presidential CDV image.